Packed with fresh flavour from the parsley, tomatoes and Parmesan cheese, this fast and simple salad is the perfect dish to serve as a side for chicken or fish. All you need are 5 simple ingredients and you're set! For brighter colour and more texture, prepare using curly parsley instead of Italian, or flat-leaf, parsley. 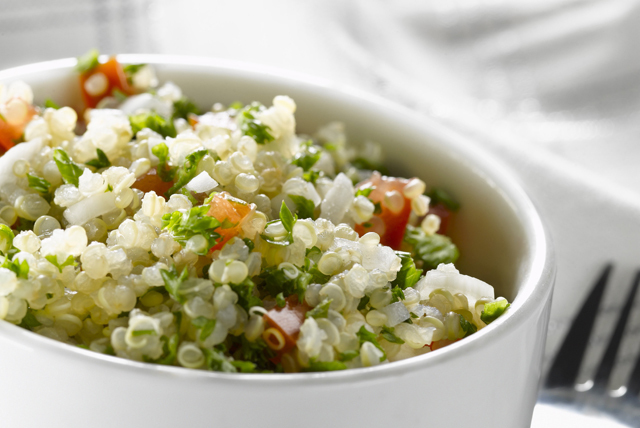 Substitute bulgur, barley, freekeh or farro for the quinoa.